My wife does pretty intense yoga two to three times per week, plus one or two spin classes if she has the time. So she can never really have enough workout clothes! A few weeks back, she mentioned to me this subscription box called YogaClub that she saw on Instagram. It was like Stitch Fix for yoga clothes, she said. It sounded pretty cool, so we decided to give it a try! 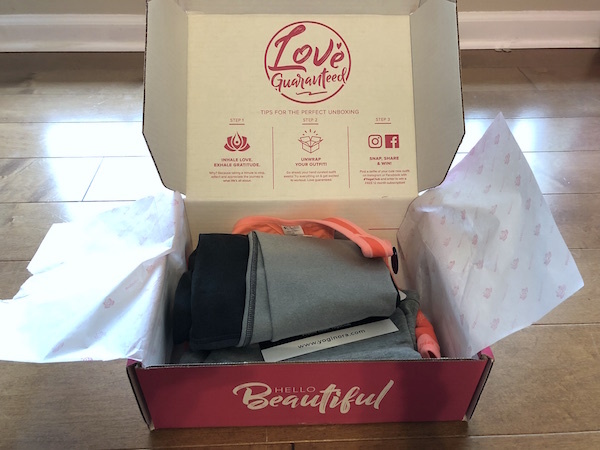 Since, sadly, yoga pants and sports bras aren’t as flattering on me as they are on her, I grilled her for her honest thoughts on the box she received and put together this 100% honest, hands-on YogaClub review. Overall, YogaClub was a fun and cost-effective way to get a few new yoga outfits delivered at home. The quality of the clothes was excellent. However, the style of our box was a little drab and we wished it was easier to customize your experience. Still, the outfit was extremely functional and good enough to stay in the rotation! 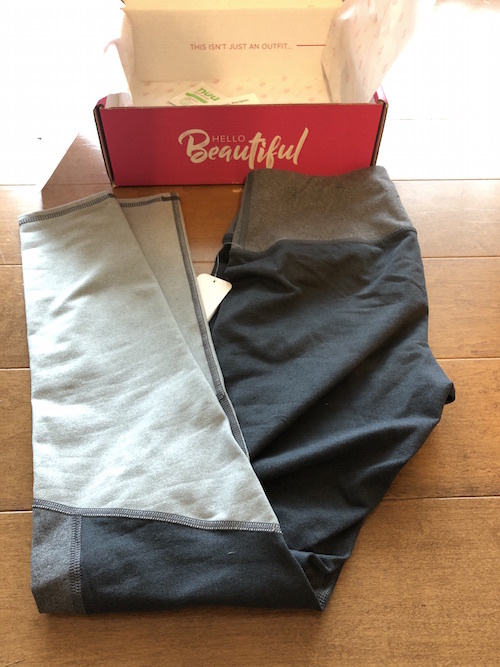 Keep going for a more in-depth look at the YogaClub outfits we received, plus plenty of pictures and what to expect in your first YogaClub box. Getting started with YogaClub was pretty easy. The process should be pretty familiar if you’ve ever tried StitchFix, Trunk Club, or other style subscription boxes. 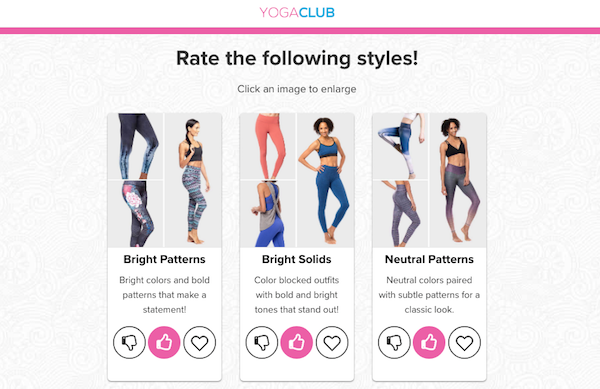 First things first, you start off with a Style Quiz so YogaClub can get an idea of the aesthetic you’re into. Do you like bold prints, or something a little more mellow? In addition to putting in the basics (like your height, waist, bra size), you’re asked to rate a bunch of sample outfits and decide how much you like each of them. How often do you wear athletic wear? What kinds of workouts and classes do you do? What are your favorite stores for workout clothes? Style preferences, like full length leggings vs capris, shorts vs joggers, etc. You’ll then get a Style Profile, or a short description of how they’ve interpreted your vibe based on your quiz answers. From there, the YogaClub team of stylists gets to work putting together some looks for you based on your preference. How much does YogaClub cost? You can also choose to get a box on a once-every-other-month basis, bringing the cost down. Plus, there’s an annual membership, where you get one box every three months and pay ahead of time. We chose the Guru package and went on our way! 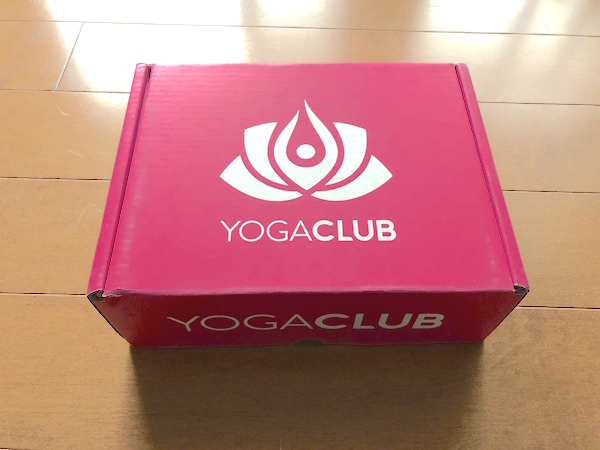 Opening the YogaClub Box – What Do You Get? A few short days later, our YogaClub box showed up at our door. The box itself is really nicely built and inviting. It comes in a bright pink with the words “Hello Beautiful” printed on the front. We couldn’t wait to crack ours open and see what was inside. 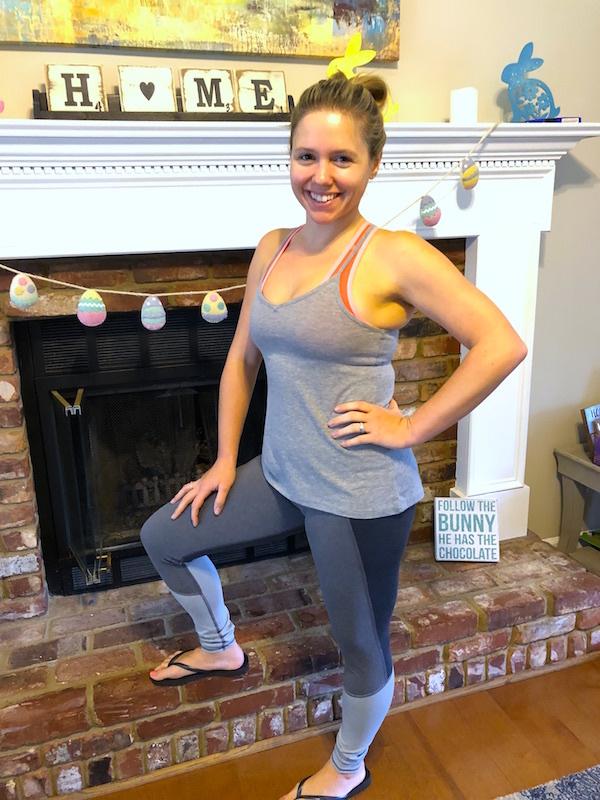 The way YogaClub works (especially with the Guru, or 3-piece package) is they send you a complete outfit that’s designed to be worn together. Here’s what we got in ours. One pair of yoga or athletic pants. Ours were a simple grey and black full-length design from Splendid Studio. A little plain, but that’s what the YogaClub stylists chose based on our quiz answers. 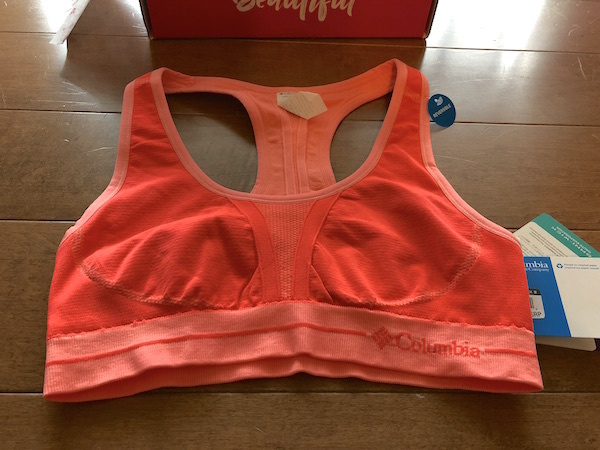 We also got a nice, bright sports bra from Columbia. It was good to see a pop of color inside the box, especially from such an awesome brand. And one yoga top or athletic shirt. The top we got was a pretty simple grey tank with thin straps. 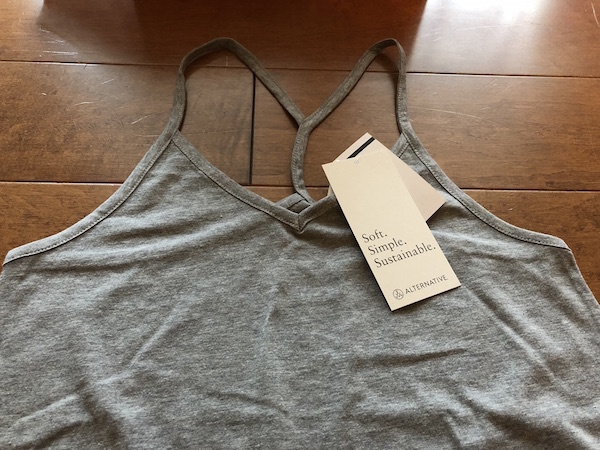 It’s lightweight and good quality (Alternative is another great, reputable brand in yoga), but again, the plain grey was a little bit of a letdown. 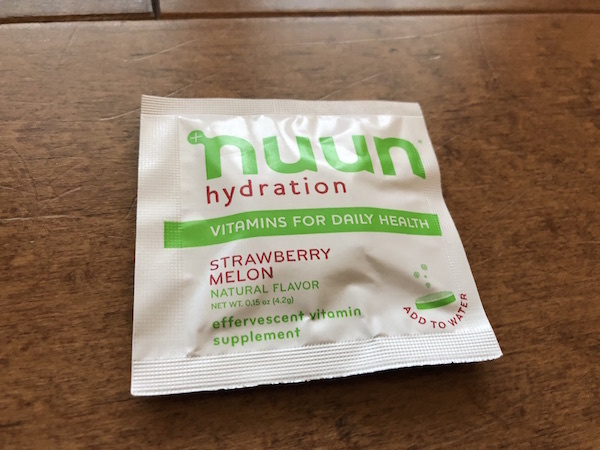 Plus, they threw in a packet of nuun hydration vitamins. It was cool to get a little something extra in the package, though we’re not sure if we’ll end up using these. We’ve heard good things about nuun, so who knows! So what did we think of the YogaClub outfit overall? 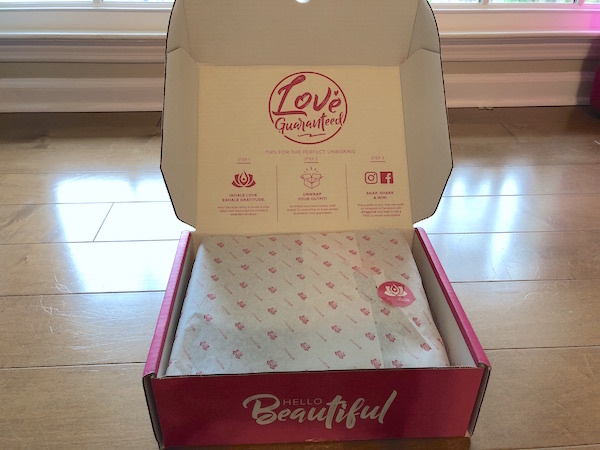 We thought the box was a solid value and we loved the quality of the outfit (the pieces were made by some of the best brands in the business). Stylewise and fit-wise, the outfit from this first box left a little to be desired. The quality of the clothes is fantastic. For the price of the box, you might think you’d be getting the kinds of brands you’d find on the rack at some discount store, but nope — you get the best of the best here. Our box had Alternative, Splendid Studio, and Columbia, but YogaClub also works with other excellent names like Manduka, Free People, Beyond Yoga, and more. You’re getting a really good value here. The MSRP of everything in our box was over $150 total, and the standard rate for the YogaClub guru box is about $79. Pretty hard to beat that! This is where YogaClub didn’t quite meet our expectations. Based on our answers to the Style Quiz, they sent us a pretty plain outfit. We probably would have enjoyed something with a little more flavor to it. That’s kind of understandable because we did rate the more basic outfits highly in the quiz. But the fit was also less than ideal on some of the pieces, which was disappointing. Despite putting in her exact height, my wife found that the pants were a good couple of inches too long. The bra was also a little bit too big. You can chalk it up to this being our first box and YogaClub still learning her body and style. But we did find that we didn’t love the design of the feedback system. It’s not easy to go back into your Style Profile and change your tastes. You can only really give feedback based on the fit or design of certain pieces, which is fine, but it’s a far less personalized and curated experience than you get with services like Trunk Club and Stitch Fix. As far as exchanges go, that’s a process that could be streamlined a little better, as well. According to the YogaClub website, you can do something called a Community Exchange, where you trade items with someone from YogaClub’s Facebook group (which seems a little odd), or you have to pay $6.95 in shipping to send your item back AND wait for your next box to get the exchange item. Overall, the outfit from our YogaClub box is solid, high-quality, and perfectly functional. My wife has definitely added it to the workout rotation. But we wish there was a little more room for customizing your experience and an easier way to exchange items that don’t fit. Here are a few things we really dig about YogaClub. We love the idea. High-quality athletic wear delivered to your home for way cheaper than it would cost in a store. That’s a win for us! It’s great if you need a lot of new clothes because you work out frequently, or if you’re excited to try some new brands. Speaking of the brands, YogaClub works with some of the best names around. These aren’t cheapie items we’re talking about! The stuff you get is definitely going to last you a while. There were, however, a few drawbacks to the experience. Other services we’ve tried, it really feels like there’s a human stylist on the other end who’s taking your personality into account. YogaClub feels a little more like it’s all done with an algorithm. Maybe that’s how they get the pricing so low! But if you’re looking for more of a white-glove experience, this might not be it. Maybe we’re spoiled, but with most clothing and style subscriptions, you’ll get a pre-labeled bag to easily send back items you don’t want. Paying a few dollars in shipping to return a YogaClub piece isn’t the end of the world, but you do have to order another box and wait for it to arrive before you get the exchange item. And I’m not sure exactly who would want to trade items for free with a stranger on the Internet, but maybe that’s just me! Wrapping Up – Is YogaClub Worth it? When it comes to the fit of the outfit and the overall style, YogaClub didn’t quite hit a home run with our first box. But we’ll probably be using it again in the future for a wardrobe top-off because the clothes are such good quality and the value is really good. Overall, we’d say that YogaClub would be an awesome fit for anyone who’s looking to try some new brands but is scared off by their price tag. Or if you’re in a bit of a rut with your workout clothes and sick of shopping at the same stores, this is a great way to mix things up. Hope this was helpful, and good luck! You can get started with YogaClub right here by taking the free style quiz. Hi there! My name is Evan. 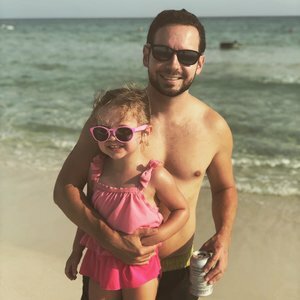 I’m a dad and 30-something-year-old fitness enthusiast. I started this site to share all of the best information and products I could find on my way to better health and a stronger body. I hope it helps you, too! Check out the exact workout & nutrition program I used to lose 15+ pounds and finally get lean and toned. Disclosure: I may receive commissions or advertising fees from products and brands mentioned on the Trusty Spotter. As an Amazon Associate I earn from qualifying purchases. But I always stand by the research and recommendations that I provide here. Hope you enjoyed your time on my blog. On the left, you’ll see my full site navigation in case you’re curious what else I’ve got to offer. On the right, check out a few of my most popular posts of all time. Some of them might be of interest! Keep up with me on Pinterest for more!